Oh man, I’m way behind! I have so many photos to get through from 2011 I have no hope of getting them on here anytime soon, and it looks like my ‘pre-cooked’ posts have run out. 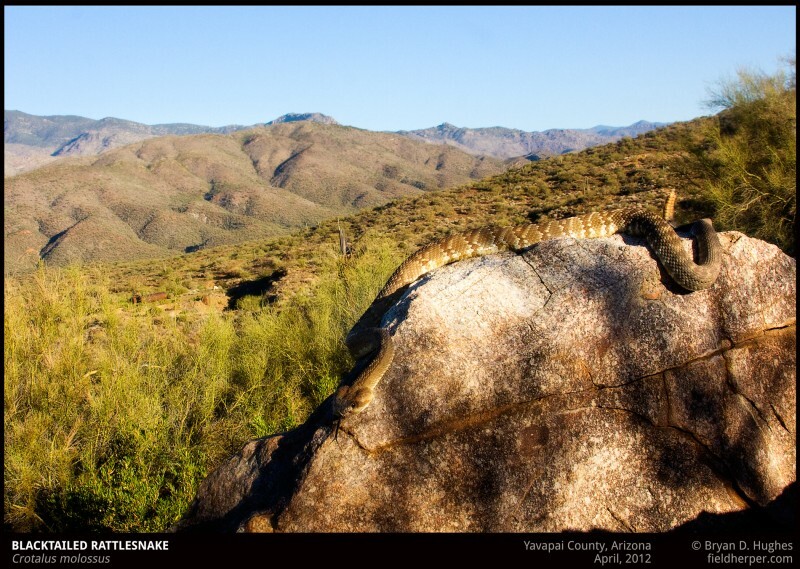 Until I get some sit down time, this first blacktailed rattlesnake of my 2012 season will have to make due. A young female, large but still growing, she never rattled one bit despite my deserving it. This entry was posted on Sunday, April 22nd, 2012 at 5:34 pm	and is filed under Field Herping, Personal, Snakes. You can follow any responses to this entry through the RSS 2.0 feed. You can leave a response, or trackback from your own site. Can we send photos for identification. I found a big snake today. Beautiful shot. Was this a daytime find? Thanks! I actually found her late the night before, and held onto her for some shots in the early morning sunlight.